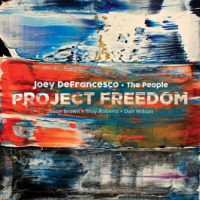 Released one week after the sudden death of Jimmy Smith on February 8, the new album by organist Joey DeFrancesco was the last recording featuring Smith, the man who revolutionized the Hammond B-3 by creatively incorporating it into the jazz idiom. 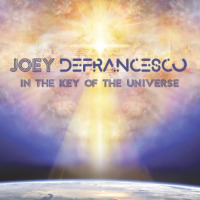 First playing the organ at age four and performing playing gigs at ten with Richard "Groove" Holmes and Brother Jack McDuff, DeFrancesco has almost singlehandedly revived the popularity of the Hammond B-3 over the past fifteen years. His Legacy, with Smith, is an extremely diverse and rich project. Almost no stones in various jazz genres are left unturned. It runs the gamut from the title track with its modal, Indian-influenced touch complete with sitar and zither, to the Smith-penned funky "Dot Com Blues." On the ballad "I'll Close My Eyes," a peaceful feeling of repose is imparted to the listener. First recorded in '60 by Smith, his classic tune "Back at the Chicken Shack" is completely refurbished in a spicy Latin style with the Banda Brothers. On "Jones 'N for Elvin," saxophonist James Moody plays in a searching, almost Coltrane-ish manner that is a fitting tribute to the late drummer. Antonio Carlos Jobim's "Corcovado" is practically turned inside-out as the bossa nova rhythms are slightly deemphasized in place of a more funky backdrop. The gutbucket "I've Got My Mojo Workin" finds Smith singing with his gruff voice over a deep-in-the-pocket backbeat while DeFrancesco lays down some seriously funky grooves. With Sonny Rollins' "St. Thomas," a more Afro-Cuban sensibility is transposed over the famous calypso song with the pulsating rhythms of the Bandas. Legacy is a five-star recording, sure to be regarded as landmark recording in the genre. With the passing of the world's greatest jazz organist, the torch has been passed on. DeFrancesco is carrying on the legacy of his dear friend and inspiration. Track Listing: Legacy; Dot Com Blues; I'll Close My Eyes; Back at the Chicken Shack; Jones 'N for Elvin; Off the Top; Corcovado; I Got My Mojo Workin'; St. Thomas; Blues for Bobby C; Midnight Special. 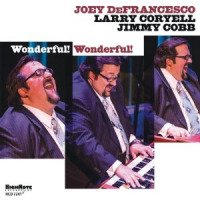 Personnel: Joey DeFrancesco: organ, piano; Jimmy Smith: organ, vocals; James Moodytenor sax; Paul Bollenback: guitar, sitar; Eddy O'Reilly: zither; Tony Banda, Mel Brown, bass; Byron Landham, Steve Ferrone: drums; Ramon Banda: percussion, drums; Joey DeLeon: congas, shakere.